My Fair Lady Wishes You A Happy Christmas! 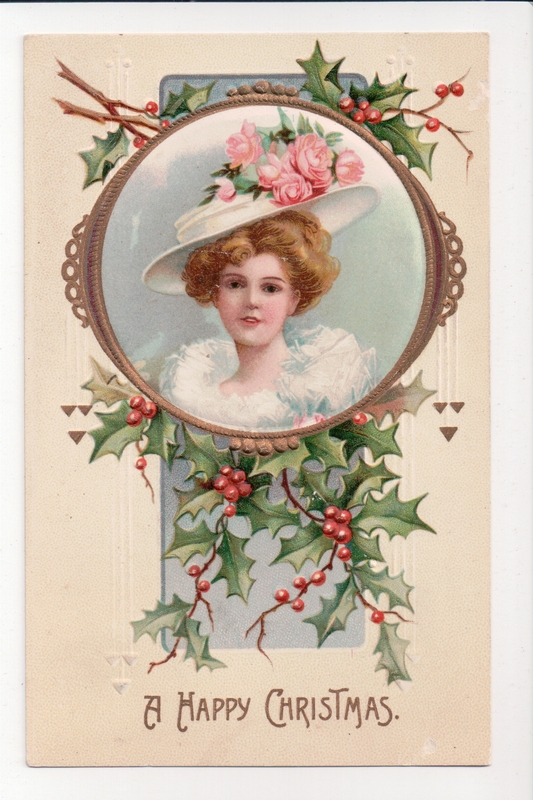 This fair lady sends greetings for a Happy Christmas. 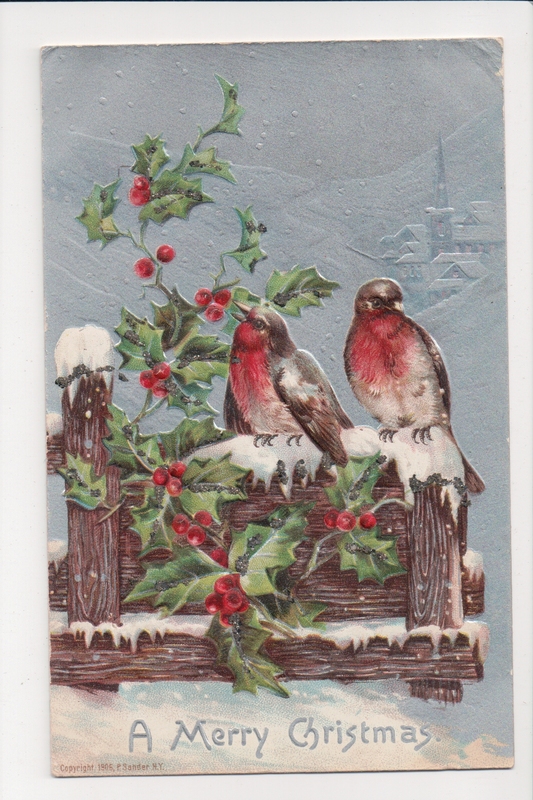 Seven year old Donald C. Minor received this card at Christmastime 1909, and though the painting is not signed, I believe it to be another Ellen H. Clapsaddle card. Why? A happy Christmas “meow” to you! 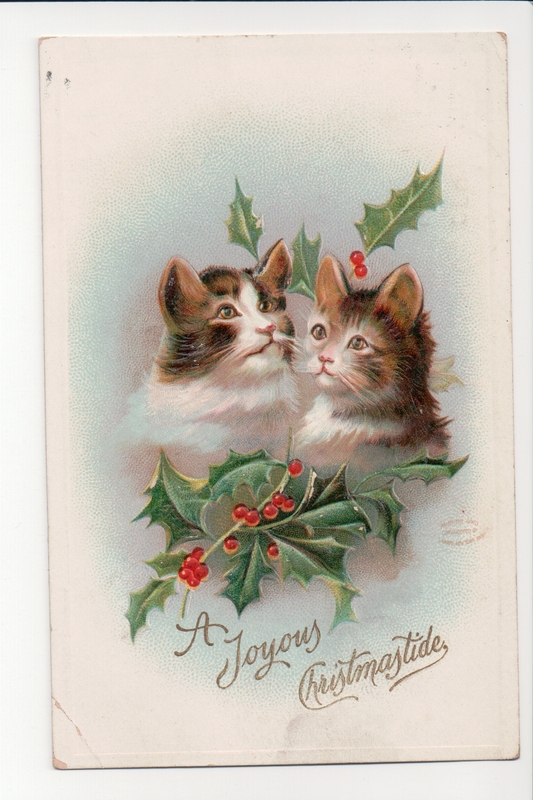 The lightly embossed kittens send young Donald Minor of Greene County, Pennsylvania wishes for a joyous Christmastide. The publisher’s mark is right below the right kitty and reads “Painting only. Copyrighted by S. Garre, New York 1909.” Small print on the back indicates that the Series #1064 postcard was printed in Germany. The note’s salutation led me on a goose-chase to find the connection between Donald and Ivan. The postmark is stamped Tama, Iowa, December 22, 11 am, 1909. While some Pennsylvania Minors migrated west to Ohio, Illinois and Iowa in the mid-1800s, I haven’t seen the name Vannroy in any family documents. Finally, exasperated, I took the shortcut offered at the Thomas Minor (The Immigrant) Society web page, searching the site by surname. Within the descendant surname list I spotted the family name: VANNOY. When I plugged this spelling into Ancestry’s search engine I confirmed the Thomas Minor Society’s information. Francis Marion Minor had three children older than Donald’s father, Robert. John P. was the eldest, then Olfred (whose son Carl also wrote to Donald), then there was Sarah Priscilla. Sarah married Mark Herrington and had Beatrice Jane. Beatrice Jane married John Vannoy and had little Ivan in 1906. They are cited as living in Tama, Iowa in the 1910 census. Behind this pair of kitten’s lies a family story wherein Sarah’s daughter Beatrice marries and moves west to Iowa. 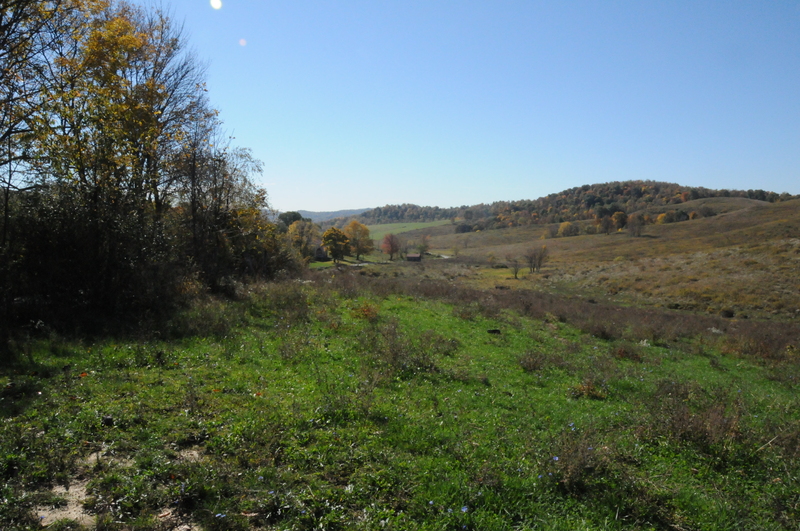 In the fall of 1909 Bedie traveled home with her family, including young Ivan, returning to Iowa before winter set in. 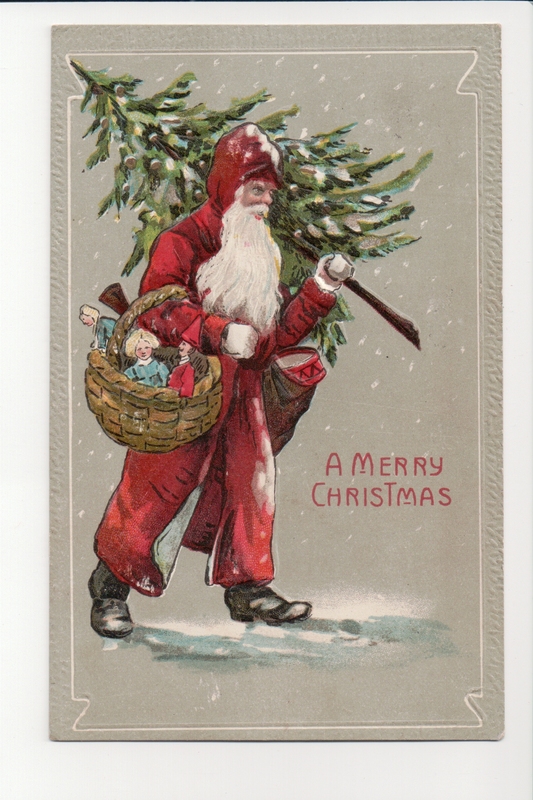 The Christmas kittens were then sent in three-year-old Ivan’s name to six-year-old Donald, the cousin with whom he had played during his Pennsylvania visit. A Joyous Christmastide to you and yours! 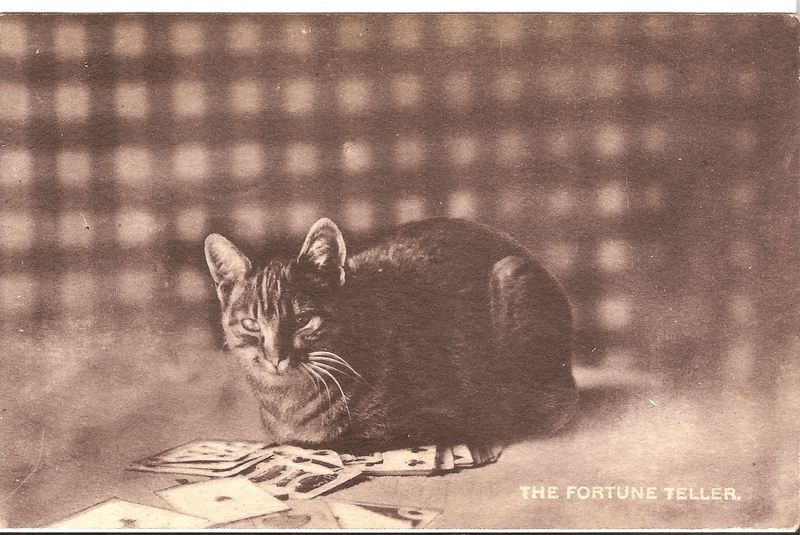 In April of 1908, six year old Donald C. Minor received this Gartner and Bender feline. Postcard collecting was a favorite hobby in the early 1900s and many creative entrepreneurs entered the printing industry. German publishers set the standard for early postcards and produced beautiful inexpensive cards that were imported by the thousands. 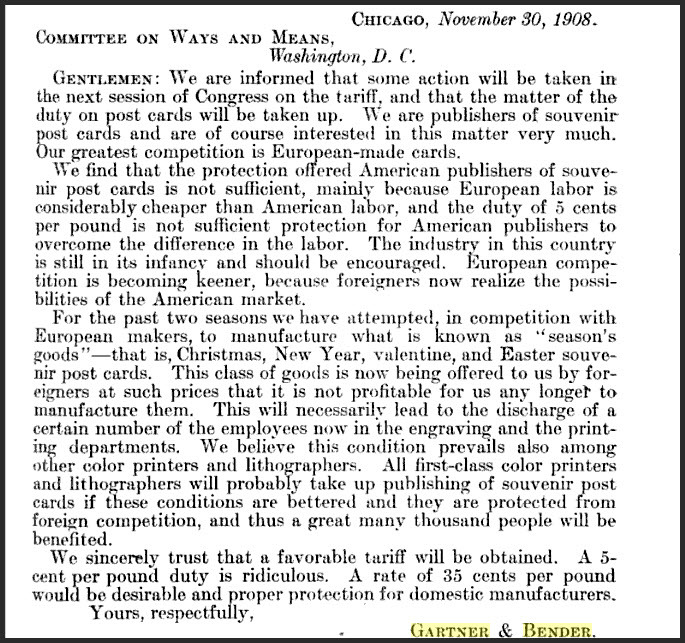 American publishers like Gartner and Bender of Chicago, felt the pressure of this competition and implored the federal government to set tariffs on their European counterparts, to stabilize and grow the American business. This excerpt from 1908 Congressional Tariff hearings states the case succinctly. Source: Hearings, Volume 17, By United States. 60th Congress. 2d session., 1908-1909. House. Accessed from Google eBooks 26 April 2011.